We are now offering some militia grade scabbards and some suspension options all made in house by our own John Mitchell. 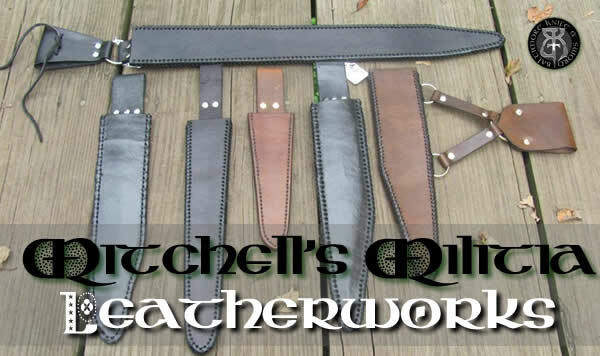 So far we are only doing stitched up leather scabbards. We have dozens in stock, but we also offer a fast 3-4 day turn around on any custom orders. There are many different hanging options and stitch options. Just email John@baltimoreknife.com and he will answer any questions and go over all of the options. 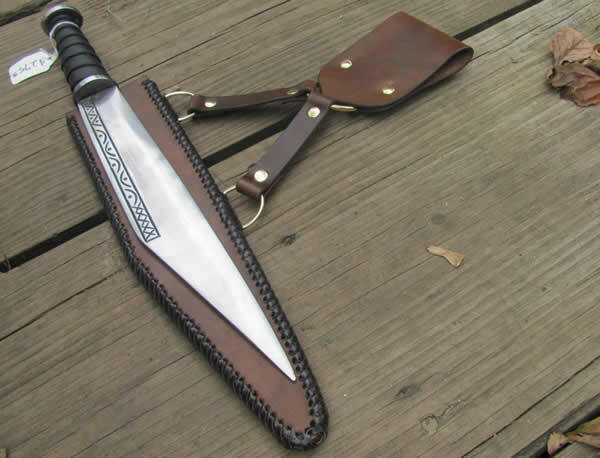 How expensive would it run for say a scabbard for a long john silver, I have a leather guy <-- wow that sounds wrong, lol but we're good buddies, and I get most of my stuff from him. I just want to see how expensive it is in comparison to get the package deal from you guys... just so I know my options. Drop John@baltimoreknife.com a line and let him know what blade length you have and what style of hanging. Set up for a frog or a belt loop. This was more of a hypothetical question But I am planning on getting a small sword eventually... so thanks for the link.